Berlin is a world city of culture, politics, media, also science. 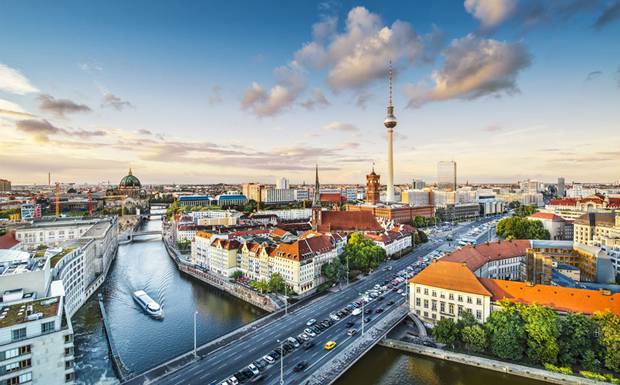 The economy is based on high-tech firms and the service sector, such as automobiles manufacturer, BMW, Volkswagen and Daimler have all established location in Berlin. Modern Berlin is home to renowned universities, orchestras, museums, entertainment venues, and is host to many sporting events. Its urban setting has made it a sought-after location for international film productions. Enough with the economy introduction, let’s get started with something tasty in mouth. 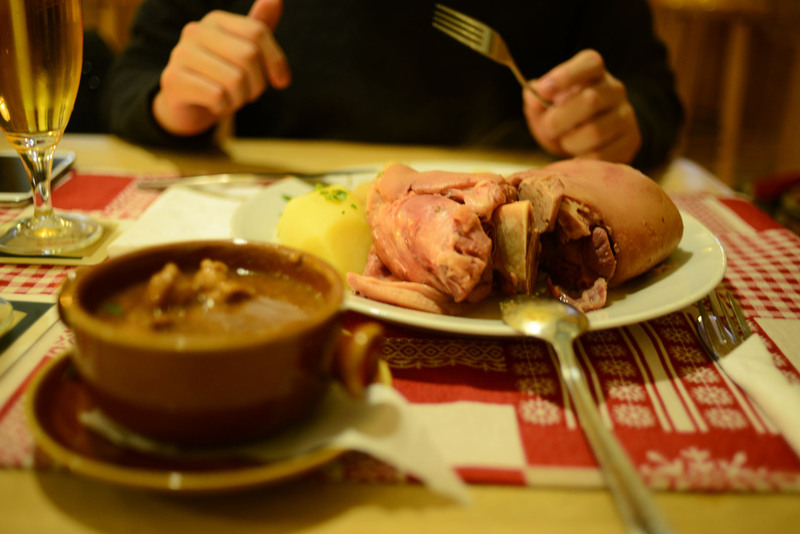 Yes, german pork knuckle is local dish that you definitely have to try! German Pork Knuckle is internationally known, you could easily find it in every fine-dining restaurants, or famous Paulaner Restaurant if your country had one.The taste of the pork could be almost the same, but not the sauce and side dish. 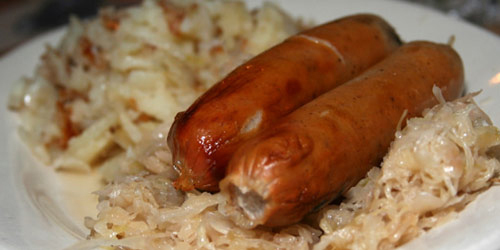 Another favourite dish is sausage! The bratwurst were superb, I can feel the meat and juice inside my mouth while having it, and this was my favorite meal of the time while I was in Berlin for 9 days. However, if you are Muslims then you got to really find a Halal Restaurant, but don’t worry, Kebab stalls are easily spotted in Berlin. 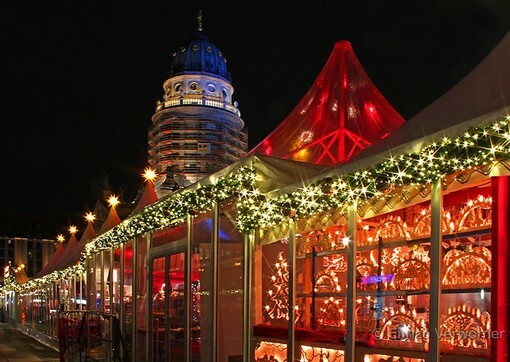 If you love foods and crowd, you could check Weihnachtsmarkt Gendarmenmarkt, and they were really beautiful in Winter time. 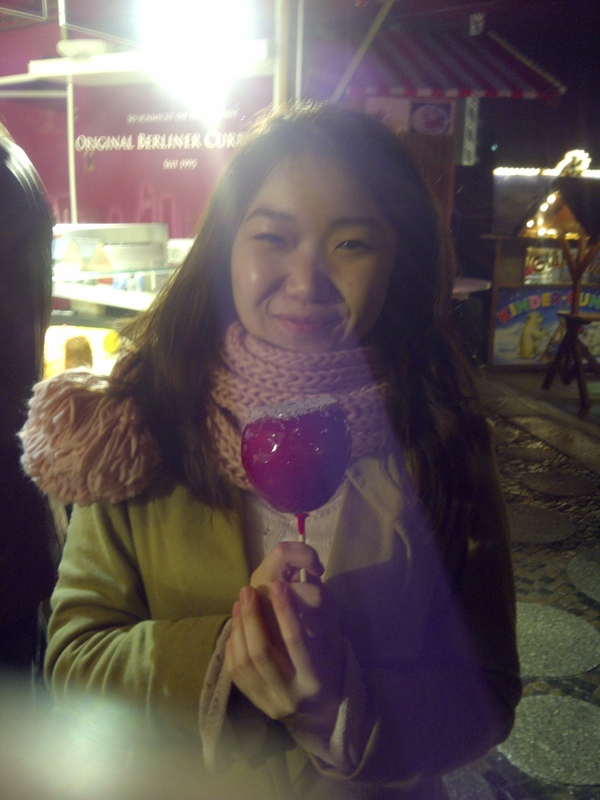 You could have all German favourite foods here, and the price was not expensive, so you should have a try. According to source, the Gendarmenmarkt is a square in Berlin and the site of an architectural ensemble including the Konzerthaus (concert hall) and the French and German Churches. In the centre of the square stands a monumental statue of Germany’s renowned poet Friedrich Schiller. Potsdamer Platz is dominated by the presence of the Sony Center, skyscrapers and endless shops, and is the main place to be for stars and celebrities, and not only during film festivals. 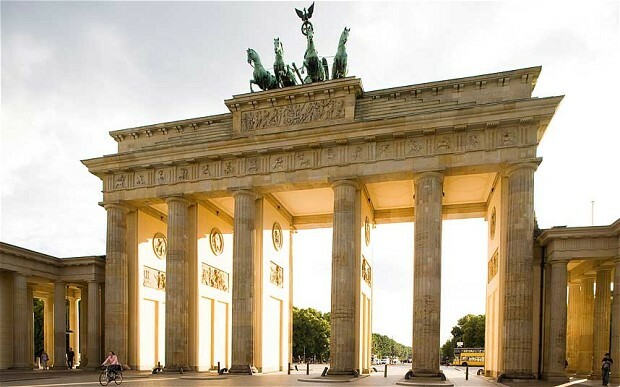 The signature attraction of Berlin is its Brandenburg Gate, it was built in 1791 and was just one of many old city gates around the city of Berlin which, at that time, was still a manageable size, and they will held festive and events here in New Year Eve. According to source, the decorative Pariser Platz was laid at the foot of the gate and is now home to many of the city’s important buildings, for example, the Hotel Adlon with its wealth of history and the Akademie der Künste (Academy of the Arts).